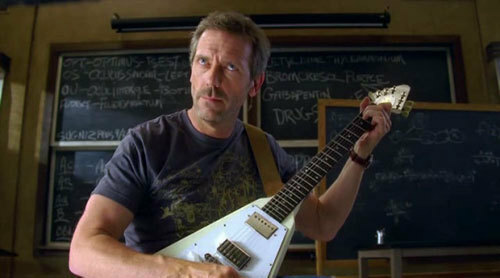 Wilson had stolen House's guitare and was calling to him as a kidnapper. When House entered to his office at this moment, what did Wilson say to the phone? "...and large coke. No ice." "...yes, I scheduled toi for Monday. Good bye." "...no, I'm not interested in buying a Bible. Thank you." "...in your place? Excellent. See ya tonight."